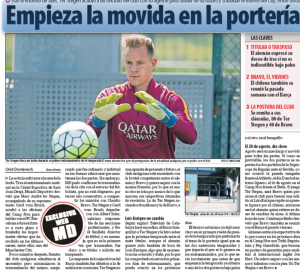 If the latest claims about Marc Andre ter Stegen are false, then much of the Spanish media is going with the same lie. There seems to be something in this one somewhere. 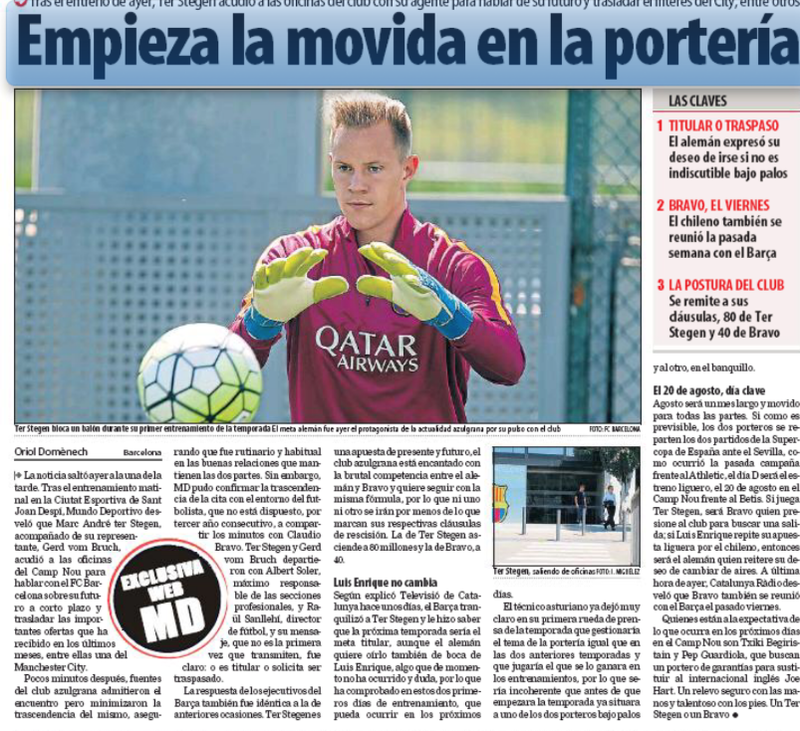 To pick one of the stories, Catalan newspaper Mundo Deportivo say in their Wednesday edition that Ter Stegen finished training on Tuesday and then, with his agent, went straight into Barcelona’s headquarters. They’ve got pictures to prove it too. Ter Stegen ‘expressed his desire to leave’ Barcelona if he’s not the club’s recognised number one goalkeeper. Mundo Deportivo say that Barcelona were also informed of offers Ter Stegen has received in recent months, including from Manchester City. 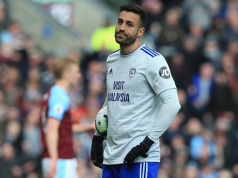 The newspaper say Barcelona played down the meeting, but they’ve been able to confirm ‘with the environment of the footballer’ that he’s not prepared to share minutes with Claudio Bravo. 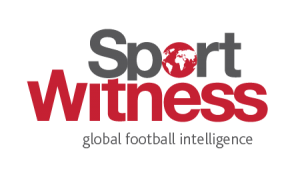 Ter Stegen and his representatives were informed that if he’s to leave Barcelona then someone has to pay his buyout clause of €80m. In all honesty, Ter Stegen hasn’t shown that he deserves to be first choice ahead of Bravo, and therefore that makes his protests fall on slightly deafer ears. He is Barcelona’s preferred option to keep, but only because he’s 24 years of age and Bravo is 33. 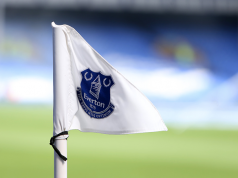 Barcelona may be trying to hold firm over the clause, but it’s likely if they received something around €50m then things would change very quickly indeed. Marc Andre ter Stegen is throwing his toys out of the pram… the problem for him is that Claudio Bravo can probably catch them all.